Centered a series exploring the intersection of design, product, and people around the world. In the latest episode, I talked with designers at a Parisian dating app to learn how they tapped into the power of gamification. Here’s what I learned. Happn is a popular dating app in France that connects people who’ve crossed paths. It’s like missed connections for the digital age. But their data showed that a number of users would sign into the app, browse their timeline, yet wouldn’t initiate “liking” someone. 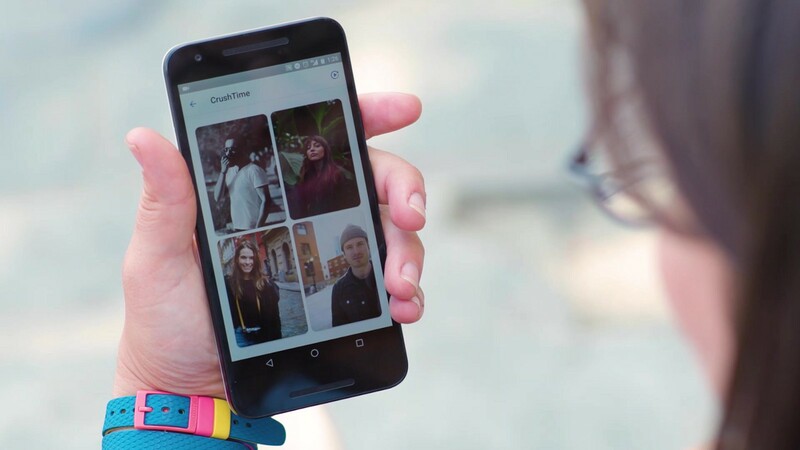 To tackle this challenge, Happn held a design sprint aimed at increasing app engagement. Their sprint-inspired solution? CrushTime, a mini-game built directly into the app. Here’s how it works: In each round you are shown four people — one who has a crush on you — and you have to guess who’s the crush. It’s simple. It’s fun. And it keeps you coming back to play. Time is precious, and people want to know — is the reward worth it? All experiences, whether they’re apps or games, are competing for people’s time. If the reward isn’t worth the effort, they won’t keep coming back. In CrushTime, the reward is social: discovering who has a crush on you. If you find a mutual crush, the app helps you begin chatting with them right away. To retain users over time, it’s important for a gamified experience to limit how many challenges a user can complete in a single session. Often this is done through some form of currency or fuel that replenishes over time. Happn limits how many CrushTime rounds users can play in a day, which allows them to take a break and encourages them to come back for more. CrushTime also uses push notifications to re-engage their users, incentivizing them to “take a chance,” and “find the one.” Offering deals and other incentives can motivate users to return to the app. In CrushTime, players are presented with 4 people, but only 1 of those has a crush. In each round, there is a 3 in 4 chance you won’t find your crush on the first try. Selecting someone who isn’t a crush prompts a broken heart dialog, with options to continue (at the price of a credit) or end the round. This adds a sense of challenge to the game and keeps users on edge by making the success rate unpredictable. 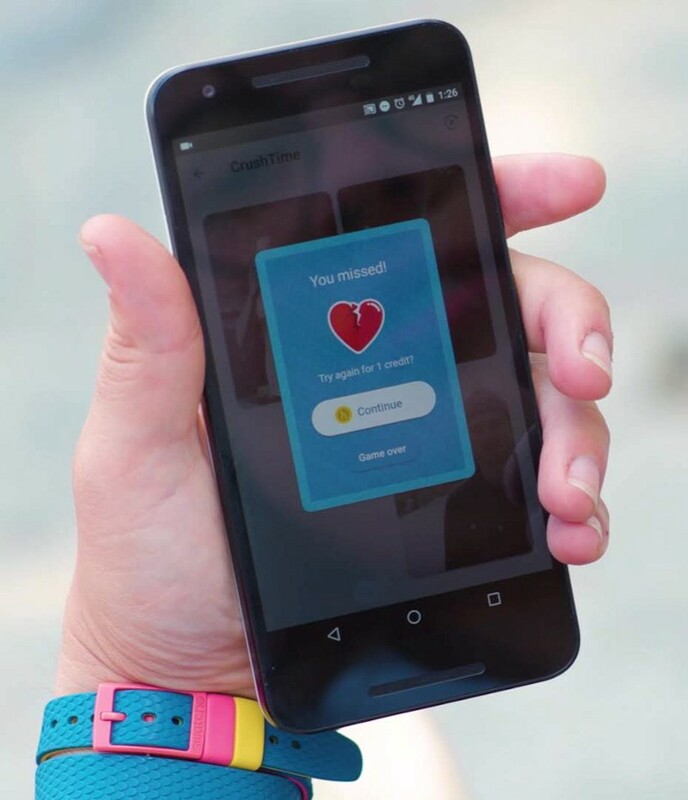 Come with me to Paris, France, to learn how Happn implemented these gamification principles into their app, creating a game of love. Thanks to Liam Spradlin and Tom Greenaway.